To say Nintendo had a strong year in 2017 would be an understatement. The launch of their new handheld-meets-home-console-hybrid not only brought newfound success for a company whos previous foray into the living room underperformed, but it brought arguably one of the strongest launch year lineups for a game console — ever. But when I look back at the Switch’s legendary 2017, it’s not Splatoon 2, ARMS, Super Mario Odyssey or even The Legend of Zelda: Breath of the Wild that I was most impressed with – not to take anything away from those titles, which are all incredible in their own way. It was the charm of a small puzzle game called Snipperclips that left the largest impression on me. It’s one that might have fallen to the side in terms of coverage due to it launching the same day as the Hylian goliath, but Snipperclips is the first game I always find myself recommending to anyone who picks up a Switch for the first time. The basic concept in Snipperclips is simple – you have to cut shapes of 2-4 characters in order to accomplish your goal, whether that be matching a shape or getting an object from one side of the stage to another (to name a few). The entertainment comes in the communication it encourages when you play through with friends – and the hilarious scenarios that result from miscommunication. It’s a ton of fun and extremely satisfying when you manage to finally accomplish your goal as a team. One of the main things that makes Snipperclips one of the best games I played in 2017, however, was simply how approachable it is for gamers both old and young, experienced and new. The game is playable with the Joy Cons that come with the Switch console and the controls are so simple that just about anyone can pick the game up and have fun with it. 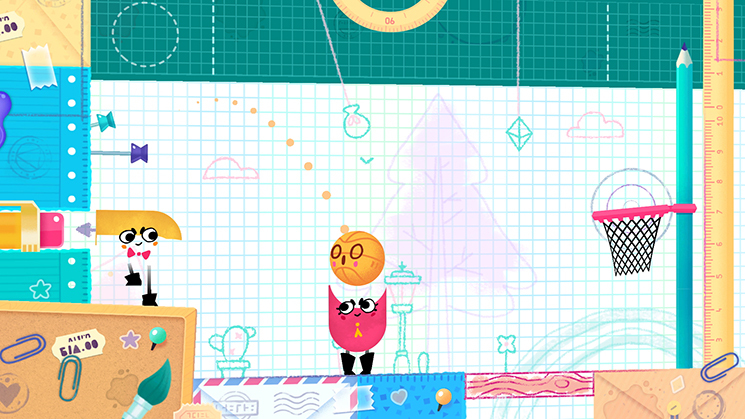 As games become more and more complicated with layers-upon-layers of different systems in them, it’s quite nice to find a game that manages to entertain as well as Snipperclips does with an easy learning curve. Snipperclips provides enough entertainment to easily justify it’s small cost. Levels can get quite challenging later on, but those who spend time working together with the game are sure to enjoy figuring them out. Those looking to extend the fun for even longer can check out the PLUS DLC for even more stages to tackle. The Switch has blown away all expectations I had when it comes to its appeal to gamers of any age and experience level. 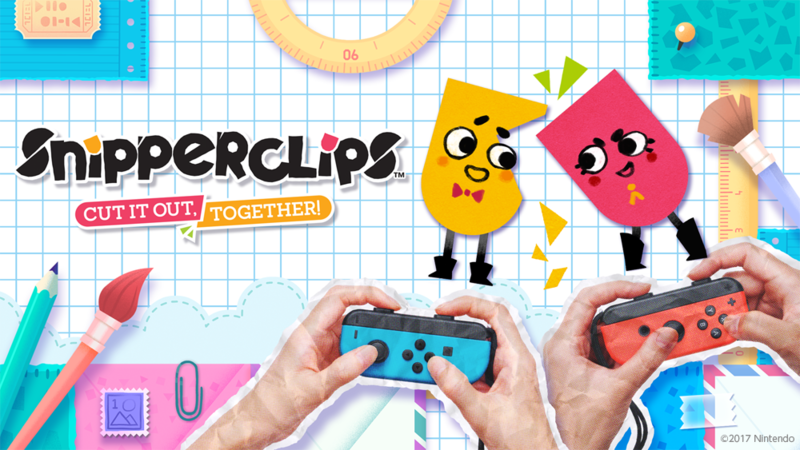 When you find yourself needing a break from an epic journey through Hyrule, or an intense match in Splatoon 2, do yourself a favor and give Snipperclips a shot – especially if you are interested in playing with friends and family. There’s even a demo available! Kirk is a founding member of Broken Joysticks and an experienced member of the gaming industry. He has worked on titles such as Guild Wars 2 and Halo 5: Guardians. Outside of gaming, he's a big fan of all disaster movies -- no matter how bad they are.